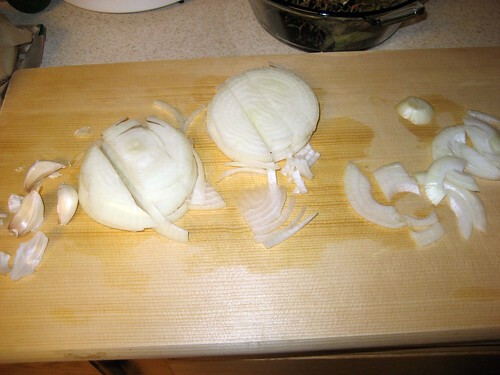 I started by chopping and sauteing an onion and several cloves of garlic. 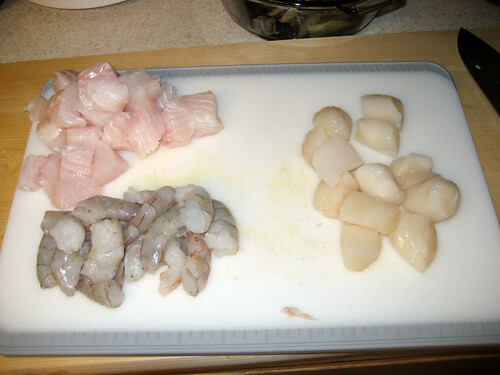 From there, I cleaned the shrimp, cut the hallibut into bite sized pieces and made sure my scallops were all nice and clean. 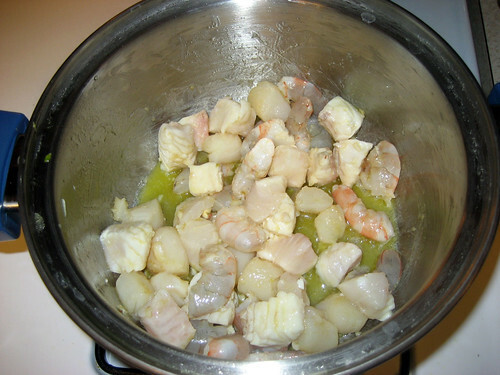 In extra virgin olive oil, I saute the seafood. 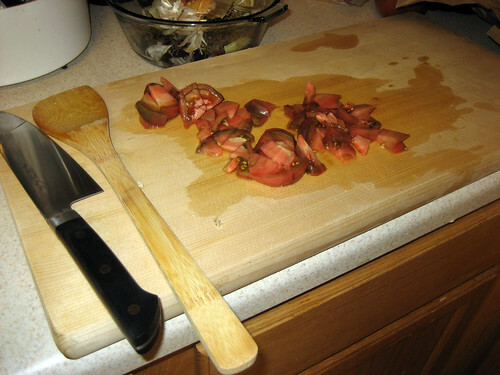 I had a beautiful heirloom tomato so I chopped it up and added it in for a bit of color and added flavor. 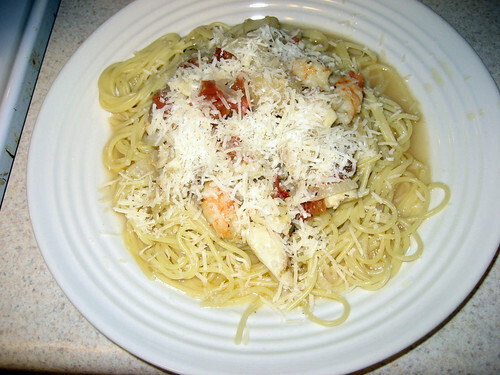 And here’s the final product over noodles and topped with fresh grated cheese. 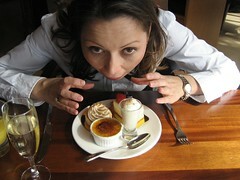 If you try it, hope you enjoy it as much as I did!! 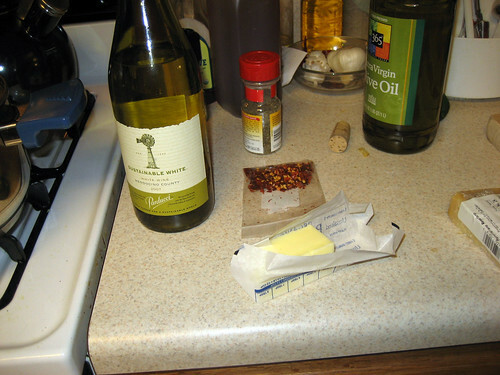 Posted on 6 October, 2009 Author BenfordCategories FOOD!! !